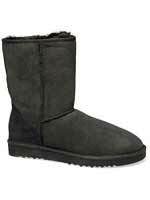 Brandboots is an Australian Company established several years ago to sell quality Australian Ugg Boots to the world. We know the difference between cheap imitations and the real thing. We are only interested in recommending good quality and giving our customers the best their money can buy. In 2006 we realised that while ugg boots are an extremely popular trend our customers were looking for more. It was not just ugg boots they were looking for but boots in general. 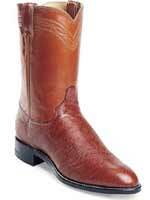 We have now expanded our store to include Cowboy Boots, Women's Boots and Timberland Boots. We commenced research and have gradually compiled what we believe to be the best footwear options available. We offer ample information so you are fully equipped to make an educated decision when it comes to purchasing your boots. Brandboots offers good quality footwear at affordable prices. They say you can tell a person by the boots they wear. Here at Brandboots we are no different to anyone else. We all have our favourites. I personally don't think you can go past the tall black ladies boot with a nice heel. Nothing more elegant or stylish - dress them up or down and wear them with anything. If only my 16 year old daughter would agree. She still favours her tall chestnut uggs from Ugg Australia. (I think it's the label she loves), but as she tells me you can dress them up or down too. She wears them with her pj's, jeans and even a mini skirt. Brendon in the office gets around in an ankle length pair of pull on boots whilst Anthony our computer whiz swears by his Dan Post mid length cowboy boots. He says he has had them for years and they still look new. Jack spends all of his spare time in the bush camping and hiking so his favourites are his trusty old Timberland hiking boots. They keep his feet dry whatever the terraine and are so comfortable he can walk for miles. Harry the soccer freak is only interested in boots if they have spikes on the bottom. Not quite going out attire but great for goal scoring. And finally Nigel, well he's just a garden gnome who sits at the office front door so he doesn't count. Now I am sure you are wondering - what sort of people are they? We are just normal, everyday people who like to be comfortable and have some fun. And ok we may have a slight shoe fettish. We hope you enjoy perusing our site.